WORKS FINISHED. 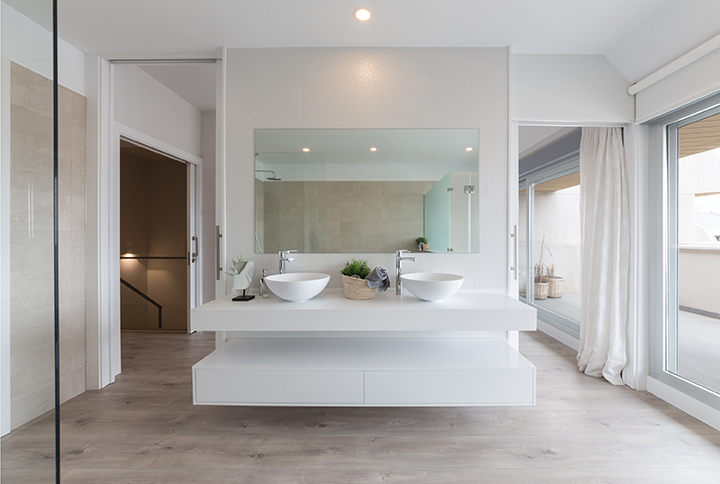 VISIT SHOW HOME! 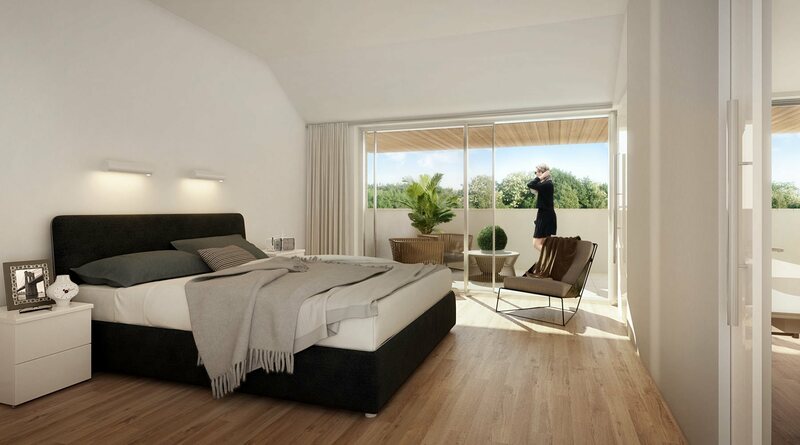 The exclusive homes in Islas Cíes have the best facilities so that you can find the place that is perfect and most comfortable for you: 61 3- and 4-bedroom semi-detached townhouses with varying orientations, private gardens, 2 car parking spaces, a multi-purpose basement with an area of more than 82 m2 and ample communal areas with a swimming pool, a solarium, an inground paddle ball court and a playground. 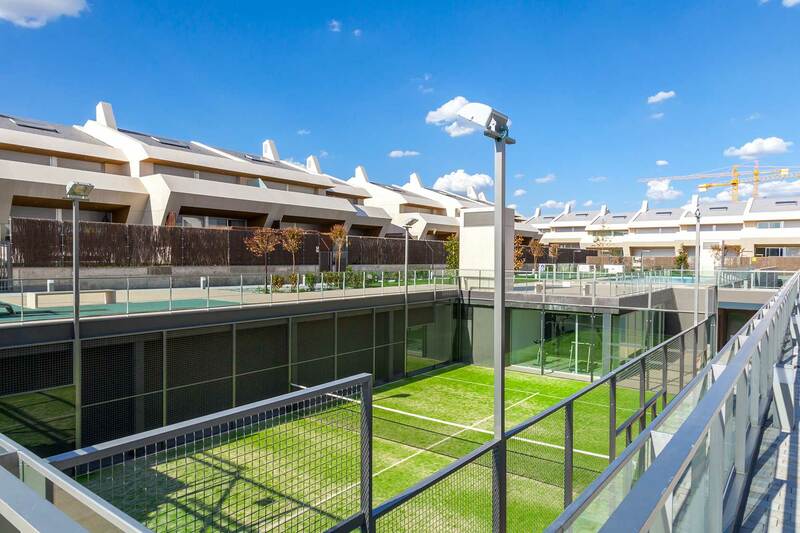 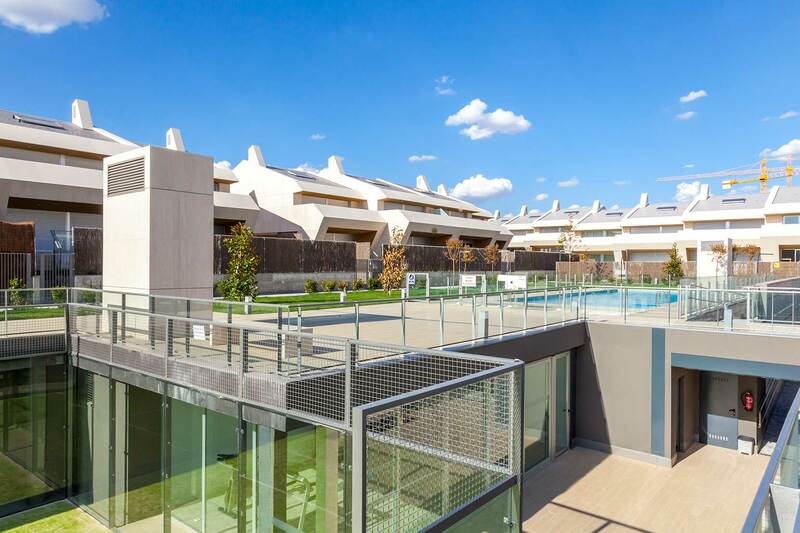 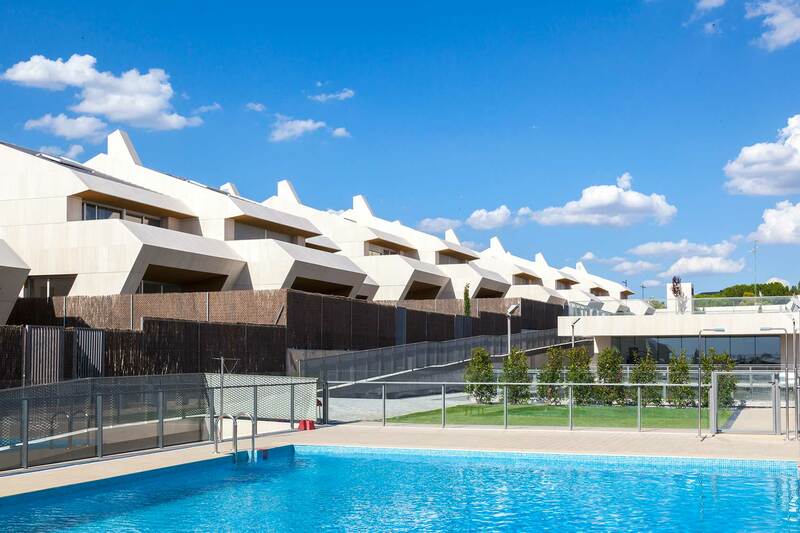 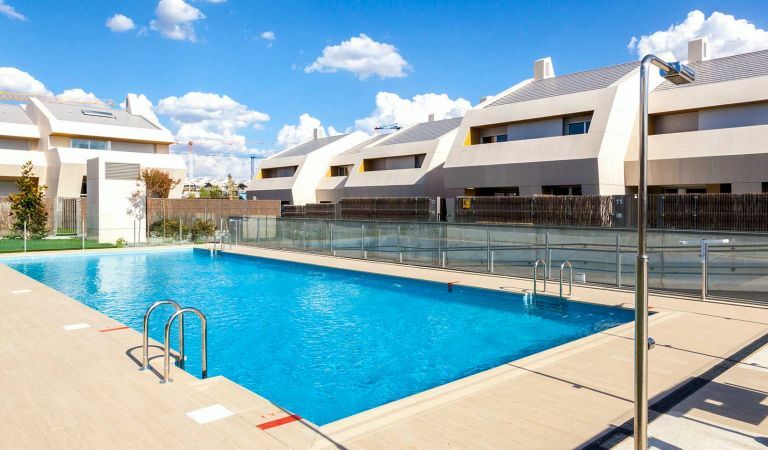 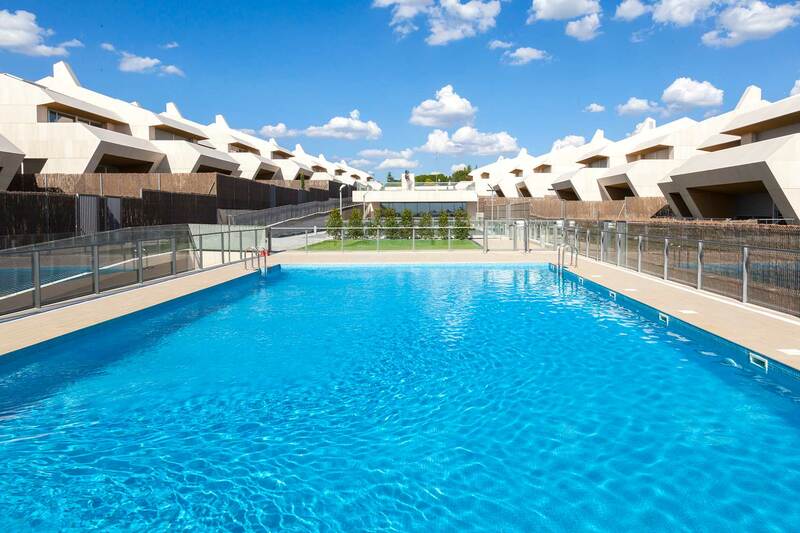 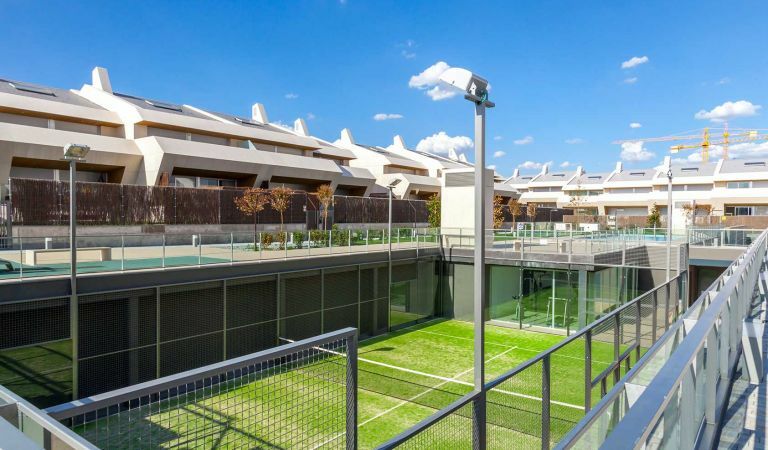 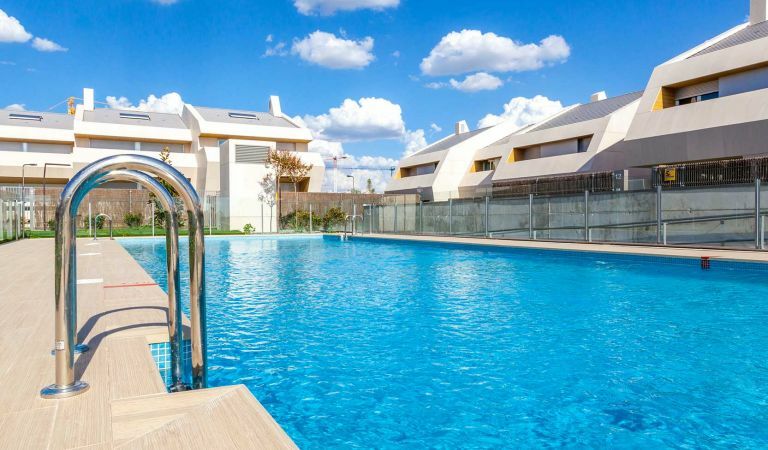 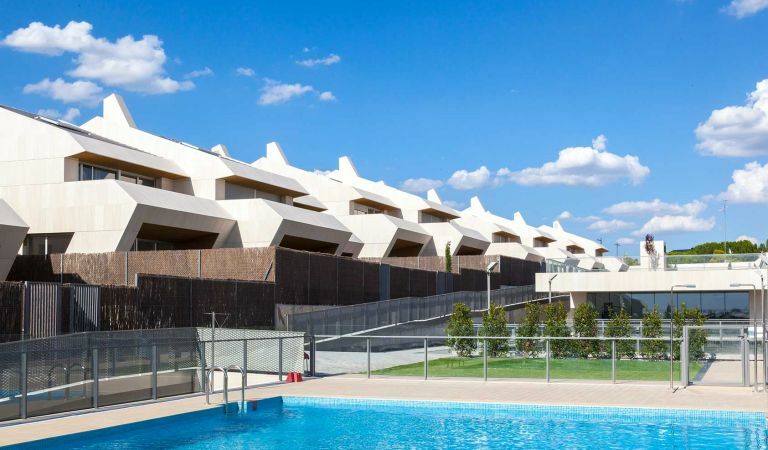 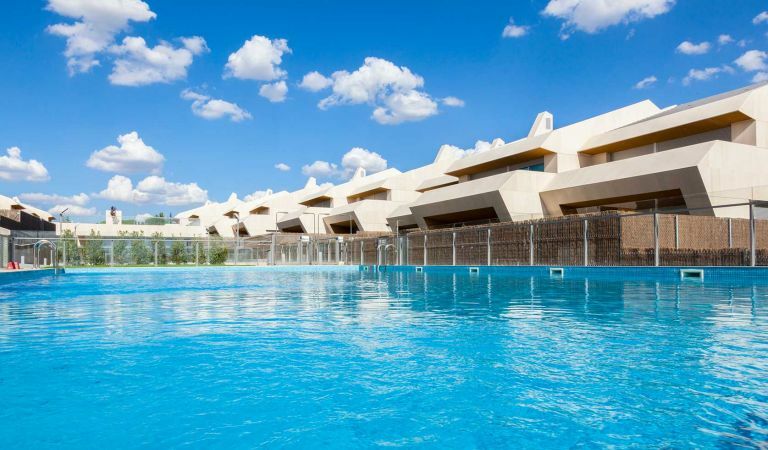 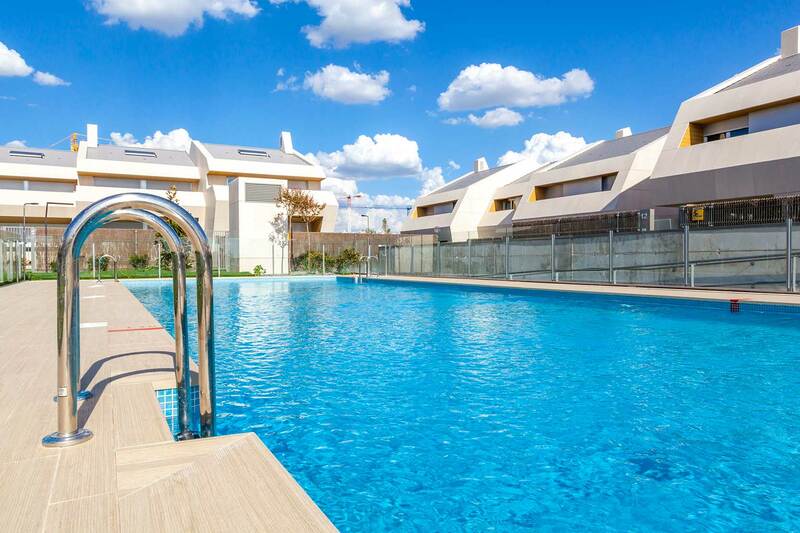 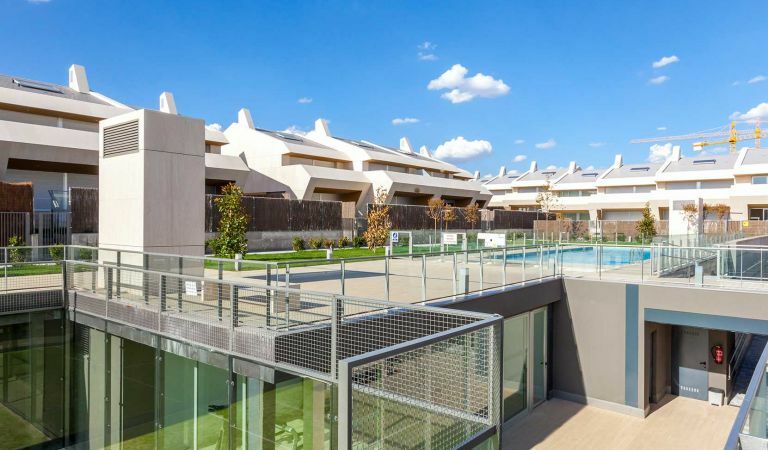 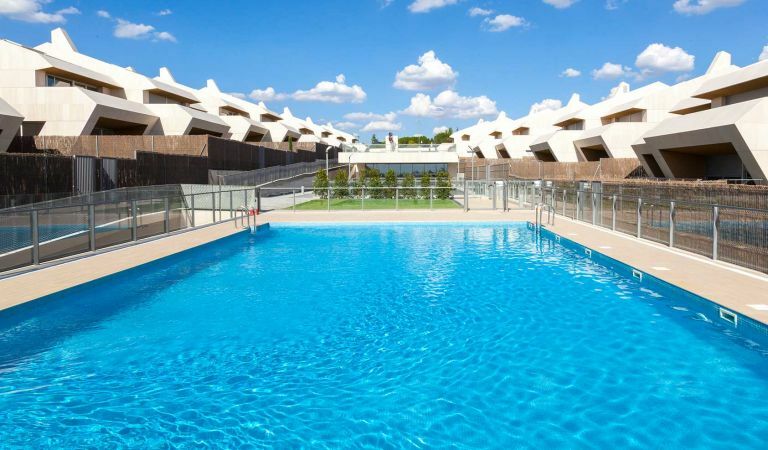 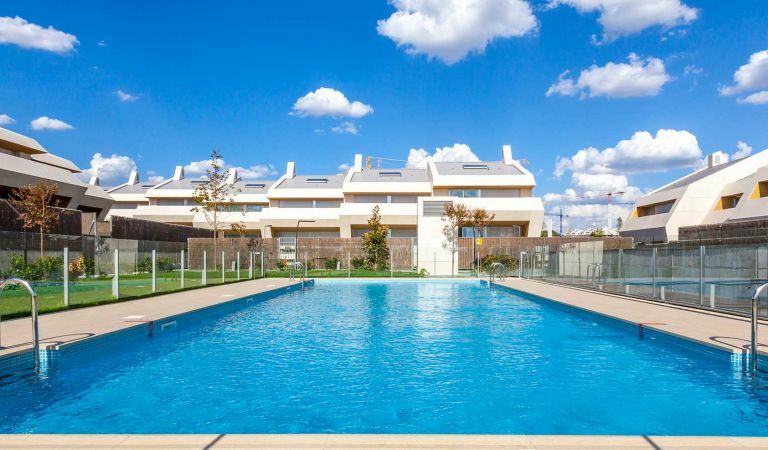 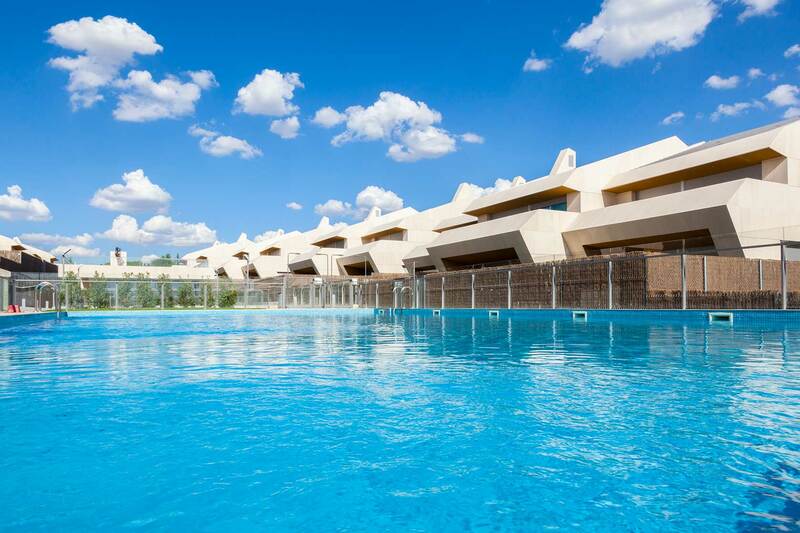 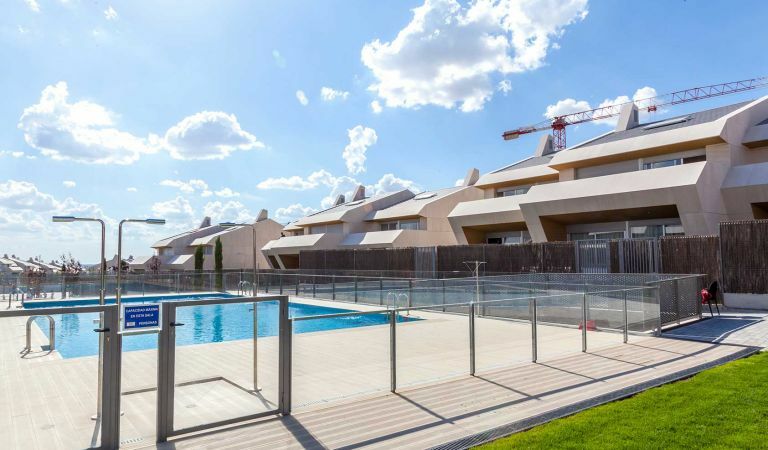 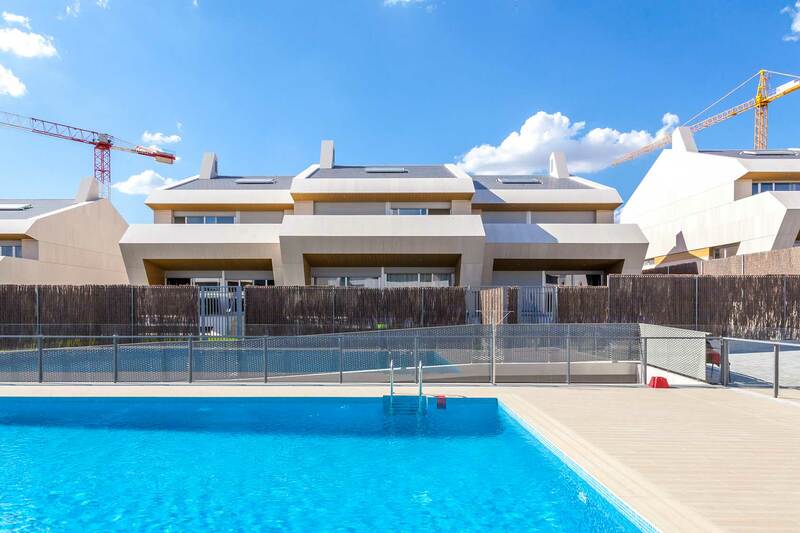 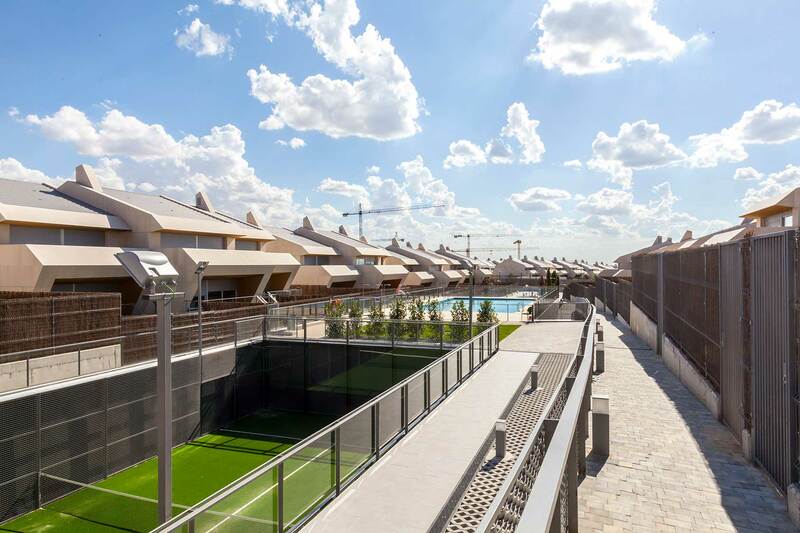 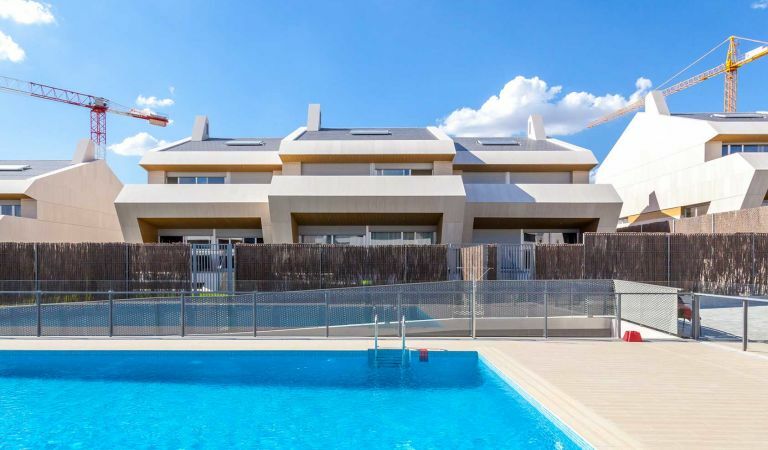 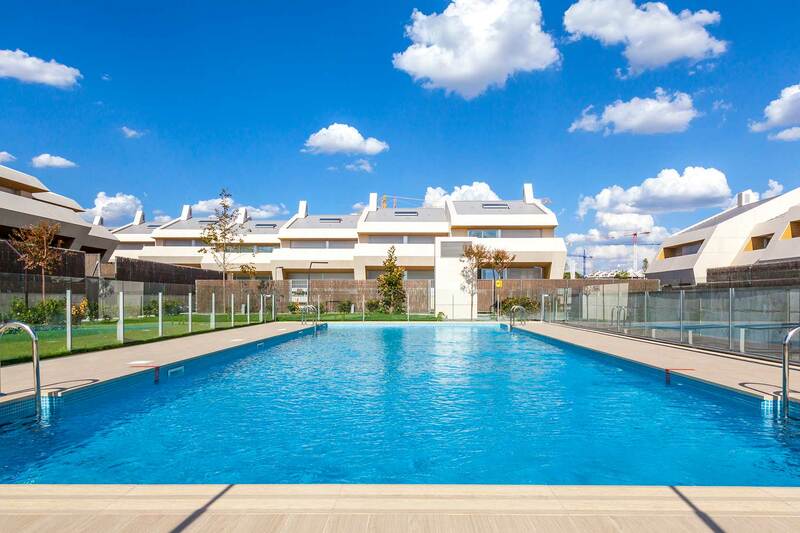 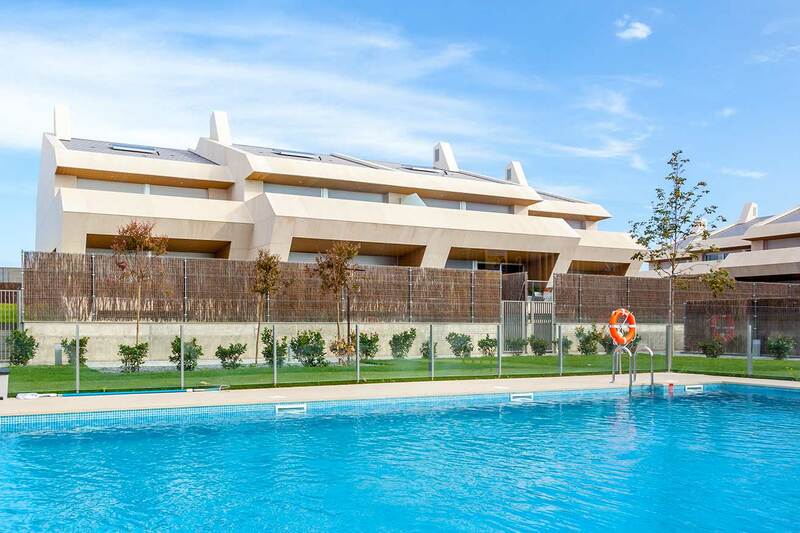 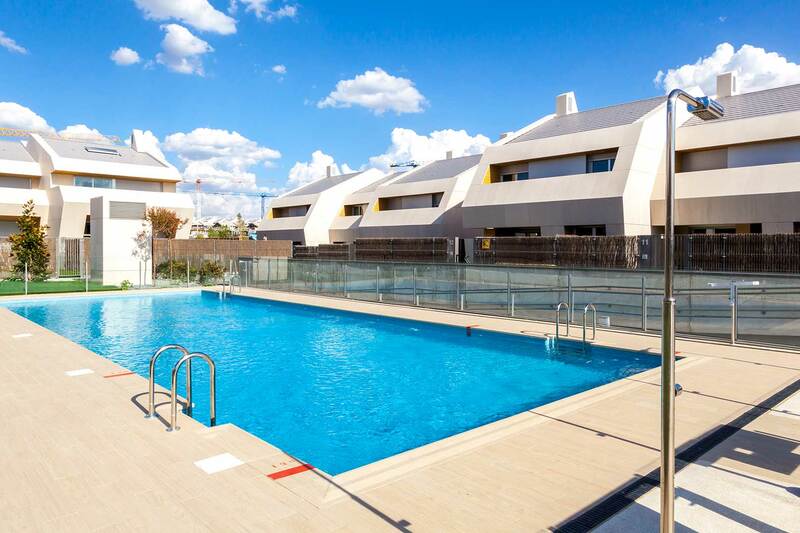 Its location also provides fantastic views of the incredible landscapes that surround it and natural areas where one can engage in outdoor activities, very close to the centre of Madrid. 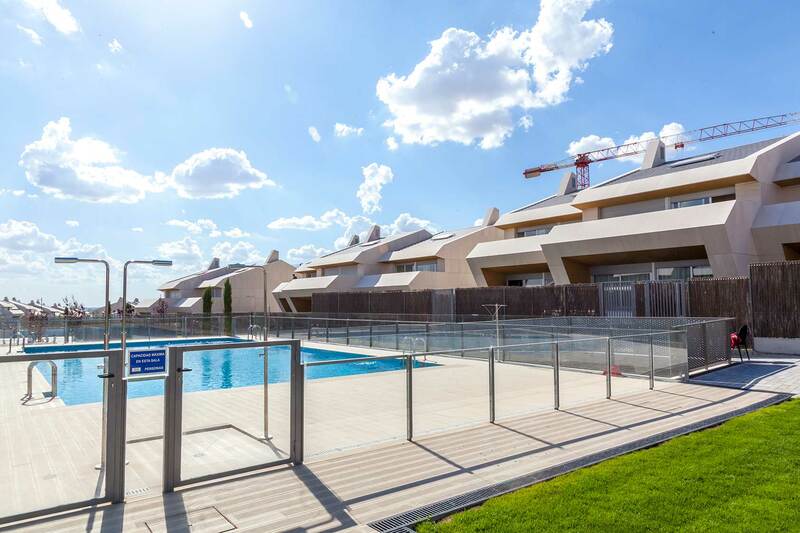 On the other hand, the single, controlled point of access has 24-hour security, guaranteeing security at the entrance to the residential development. 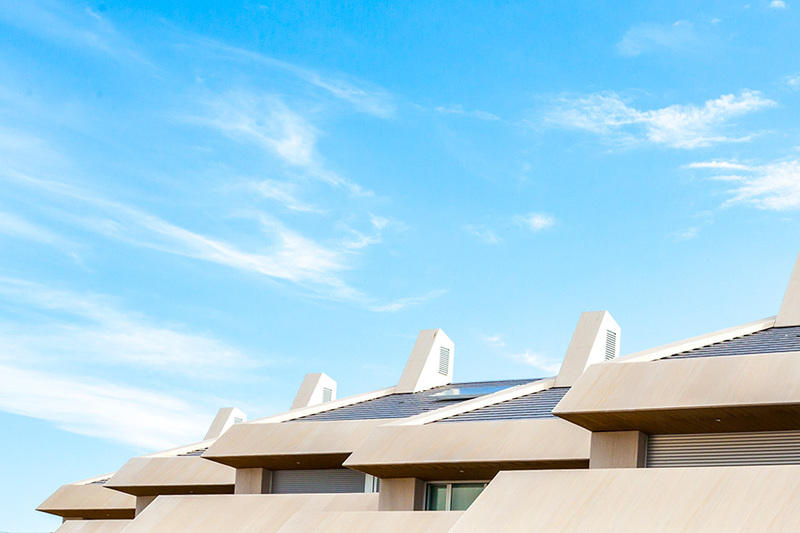 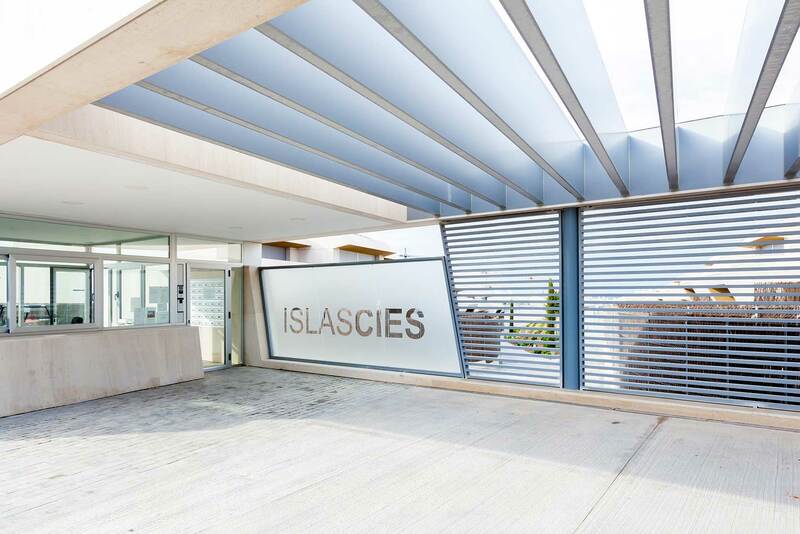 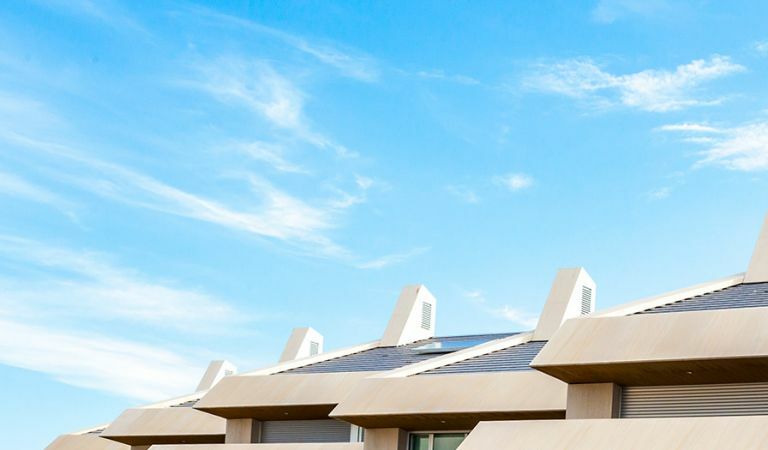 The Islas Cíes project has been developed in minute detail in order to maximise the energy efficiency of its homes and to ensure excellence in the quality of its materials. 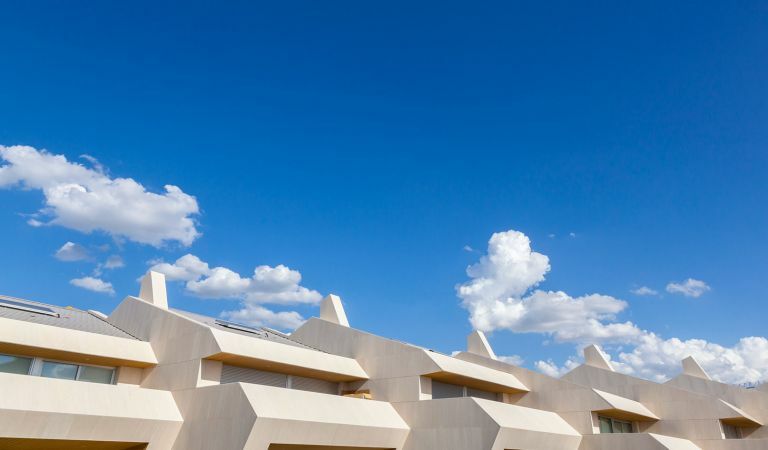 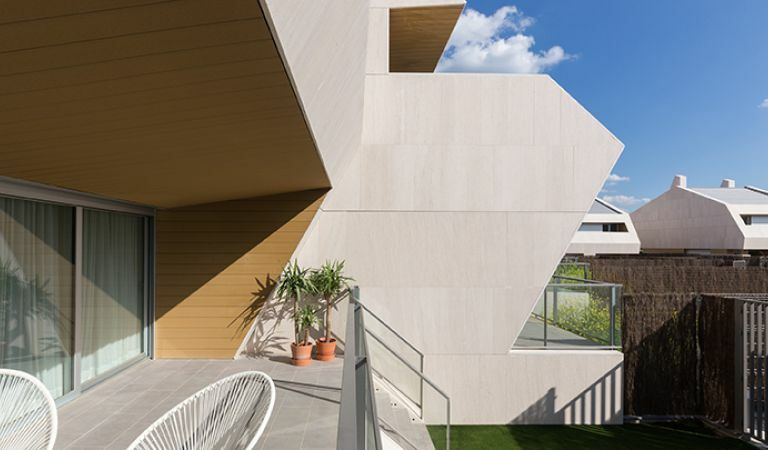 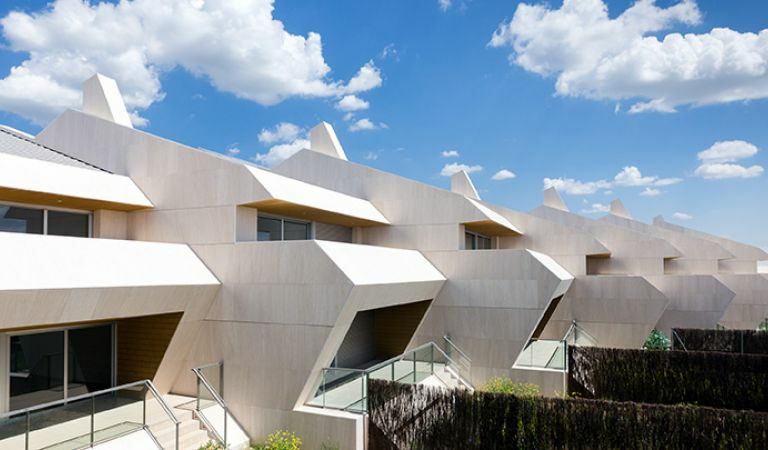 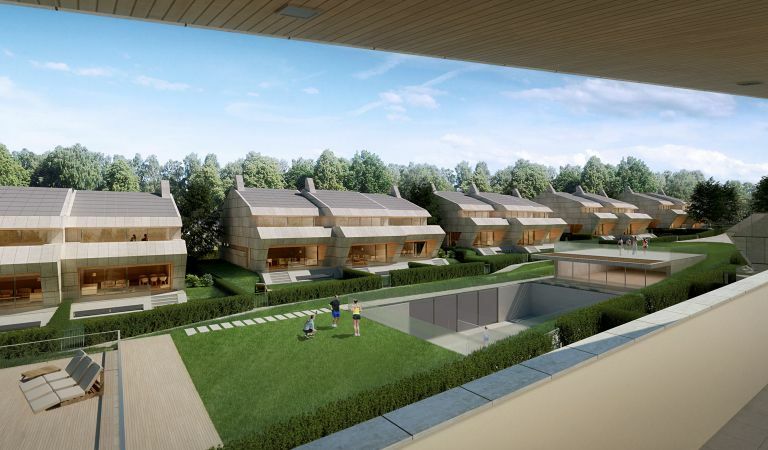 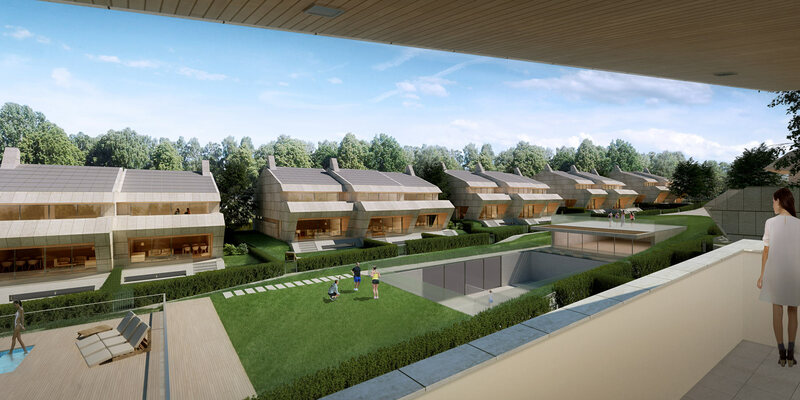 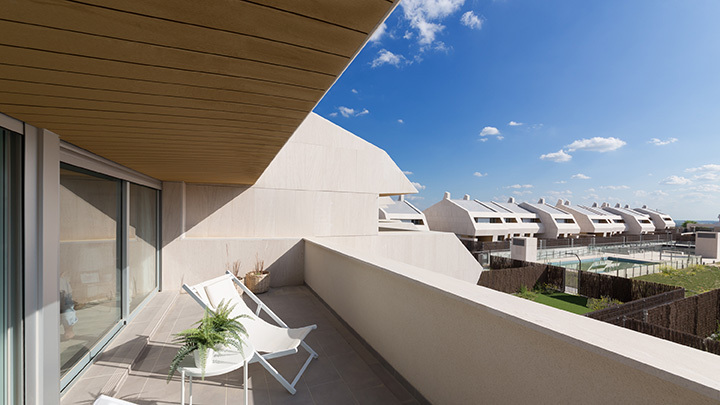 An effort has also been made to give the homes a contemporary design, with a ventilated façade and flat roof, which, when taken together, give them a modern, elegant and vanguard appearance. 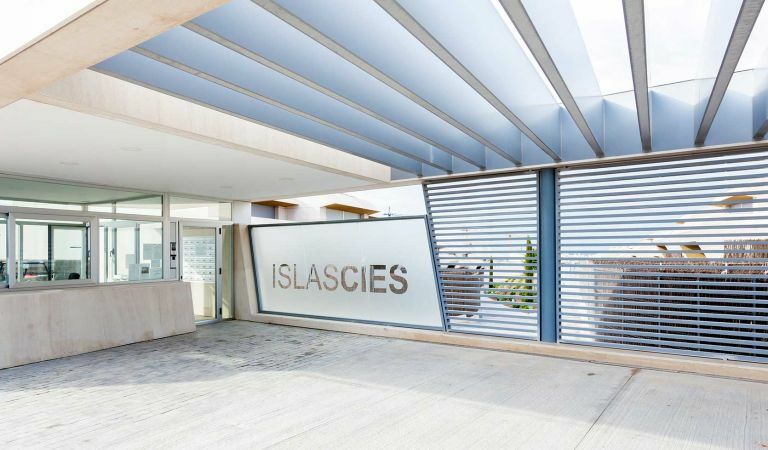 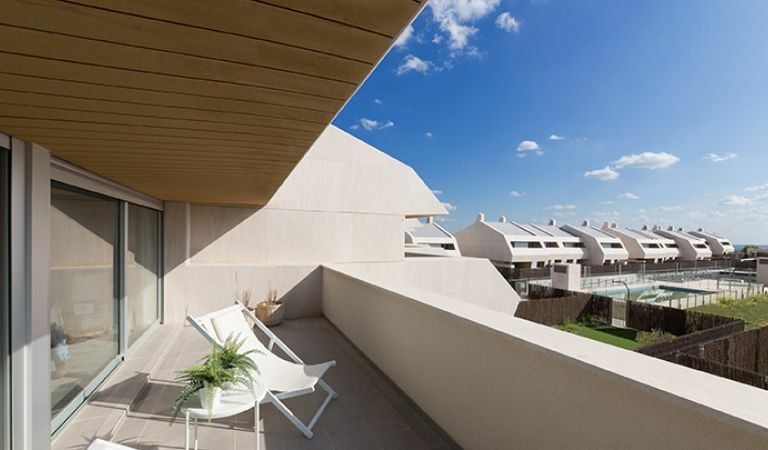 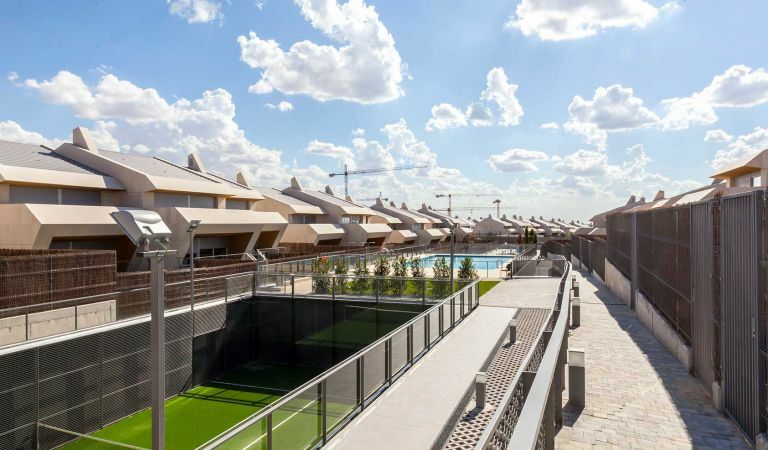 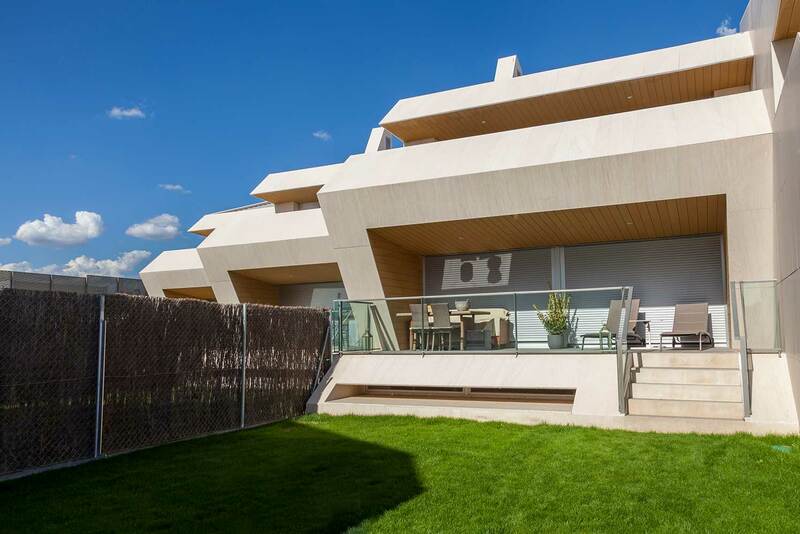 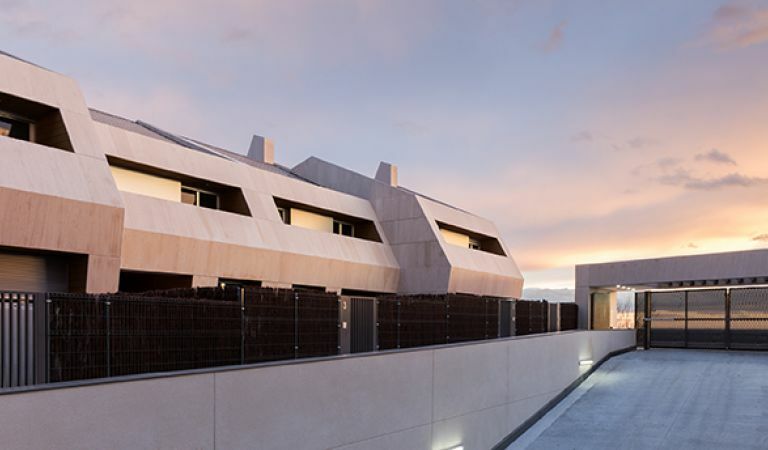 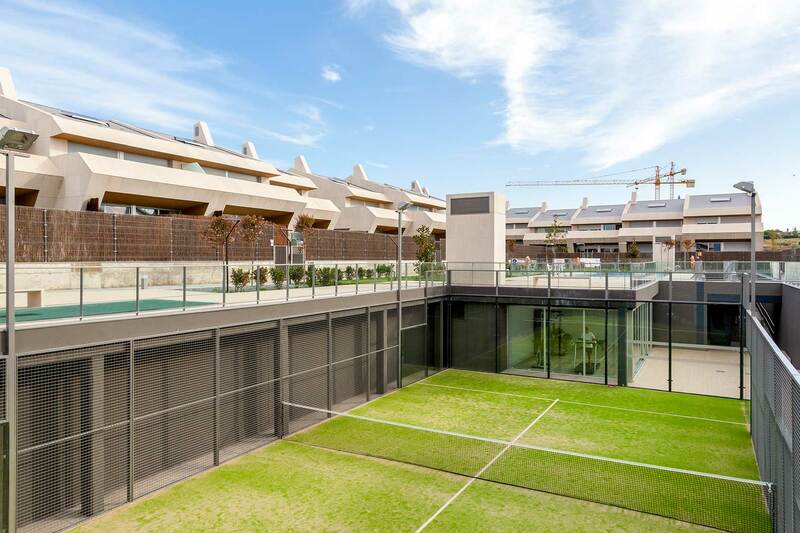 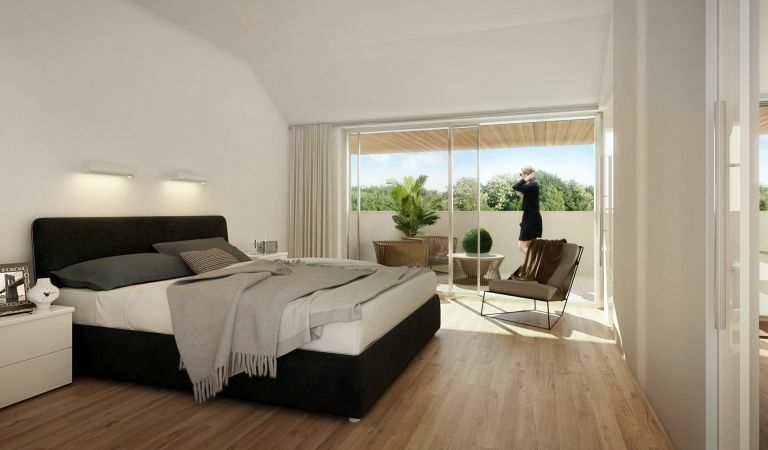 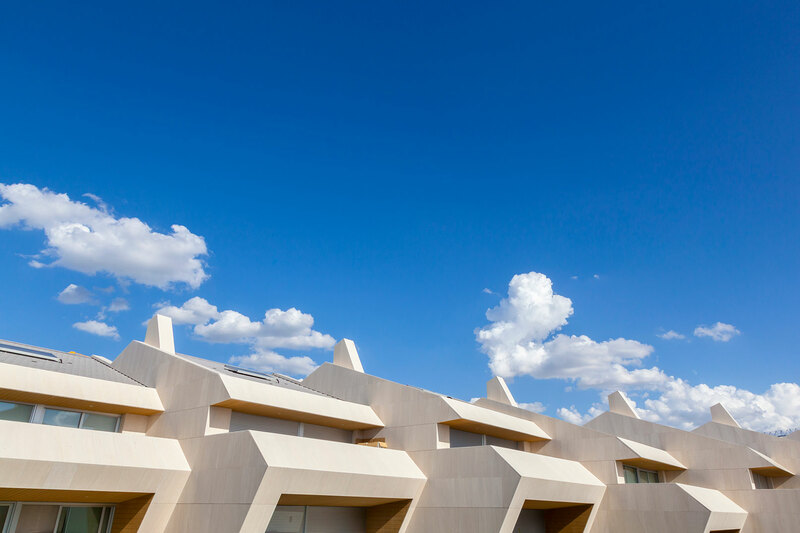 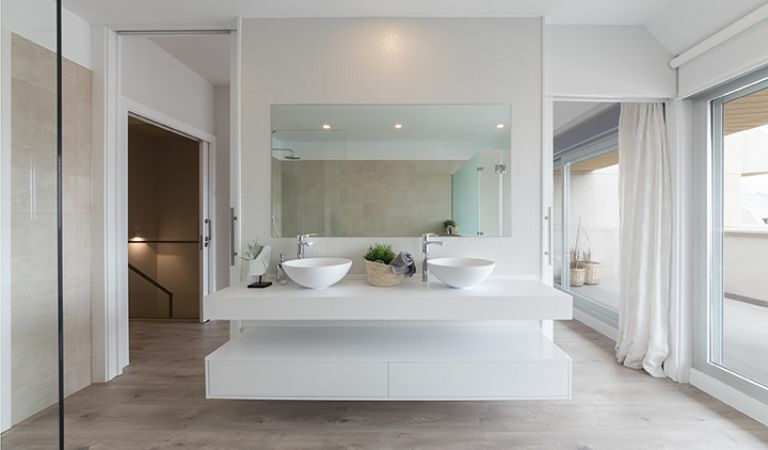 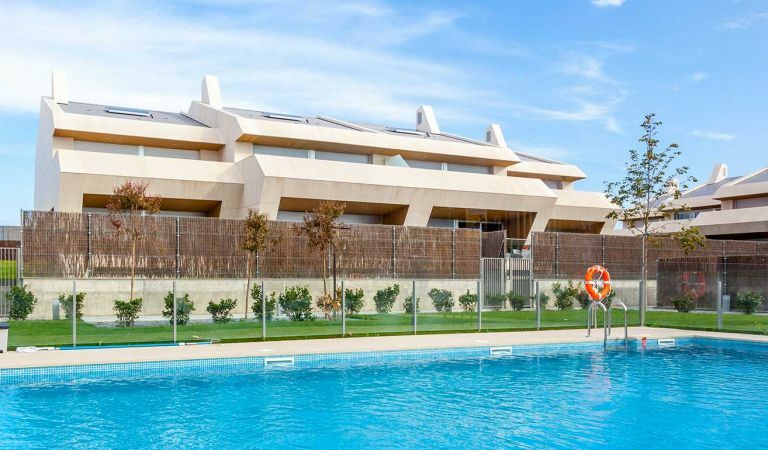 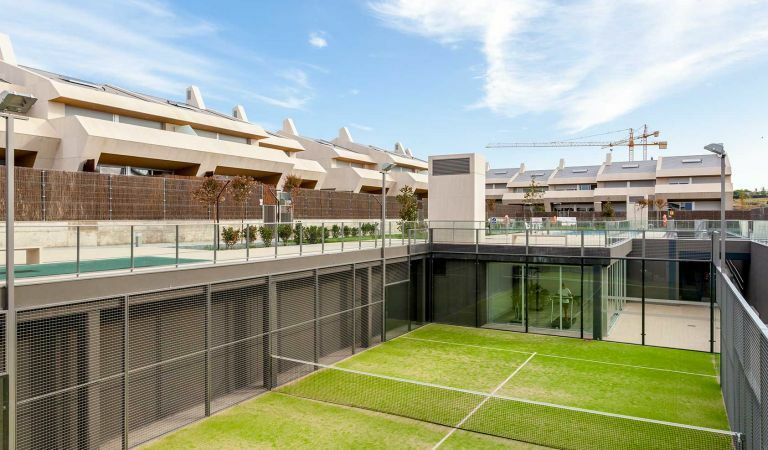 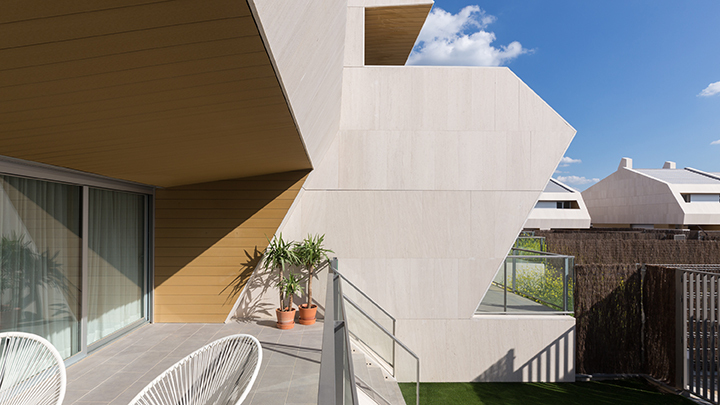 The architectural project of the exclusive homes in Islas Cíes has been developed by Madrid-based architecture firm CANO Y ESCARIO, which is widely known for its experience in high-quality residential construction. 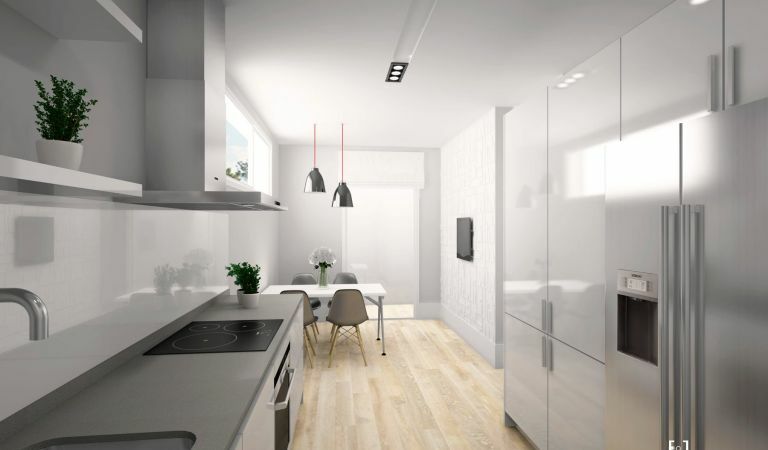 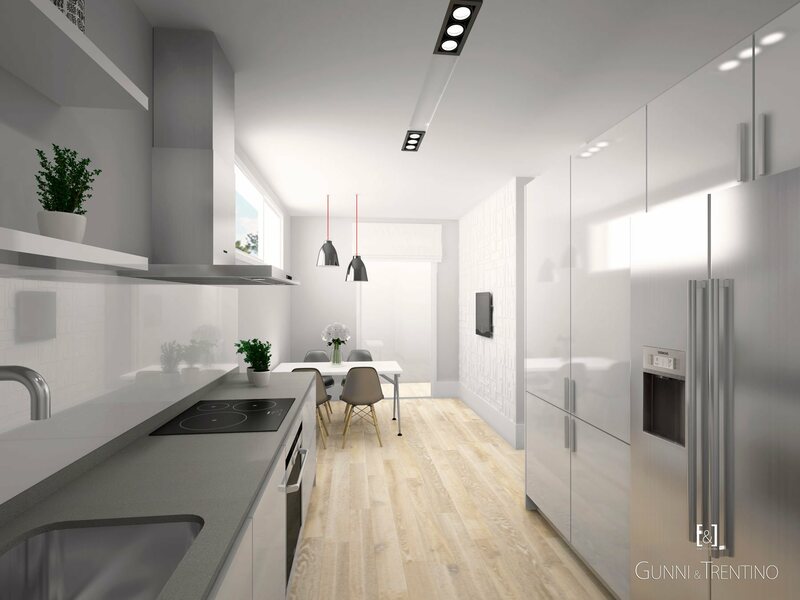 Cano y Escario Arquitectura is a professional firm with more than 25 years’ experience in construction. 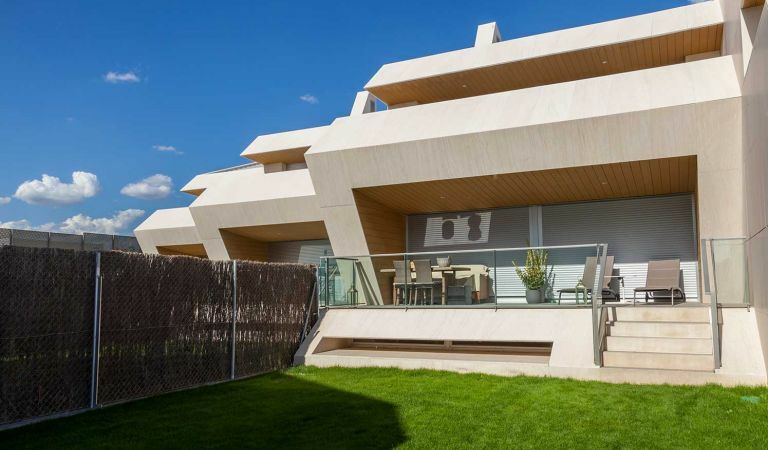 Founded in 1988, it handles all stages of the construction process, planning, management and project management. 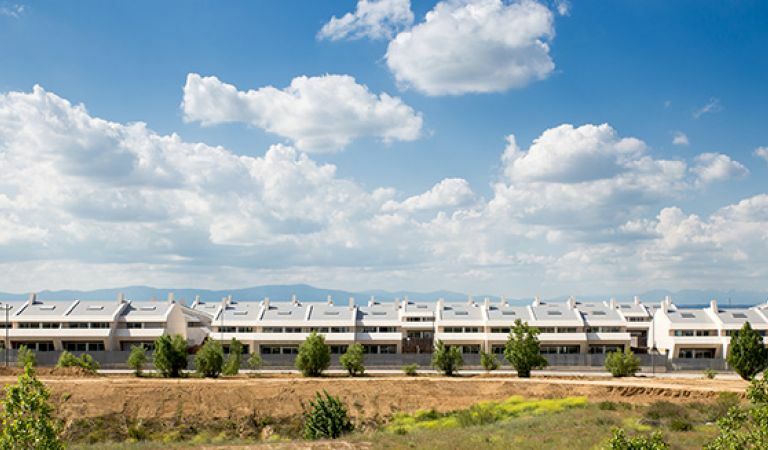 Islas Ons is strategically positioned in Boadilla del Monte, north-west of Madrid. 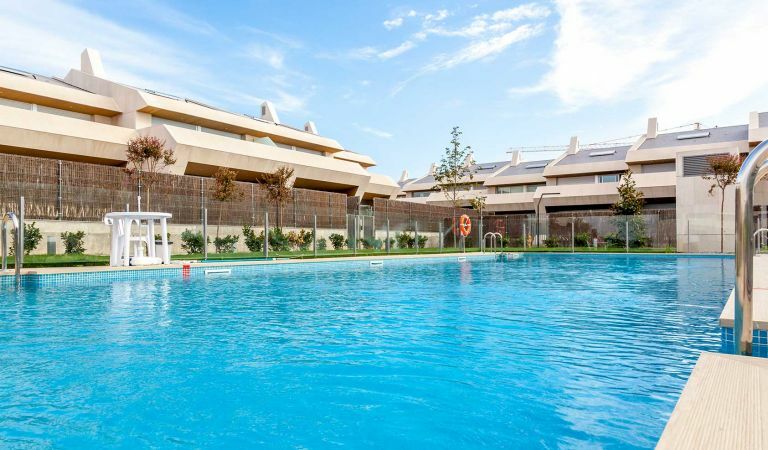 It has excellent links and facilities, green spaces and stunning landscapes.